Don't let the complicated look of geometry put you off this recipe, once you've put that little extra effort in, the result is an accomplished pie (looking like you've spent ages doing it) to impress your friends or a loved one. Or just keep it to yourself, it may be too good to share. This is a pie for banana lovers, your kitchen will enjoy the sweet caramelised waft of sugar, bananas and vanilla amalgamating to make a delectable pureed filling for the pie. 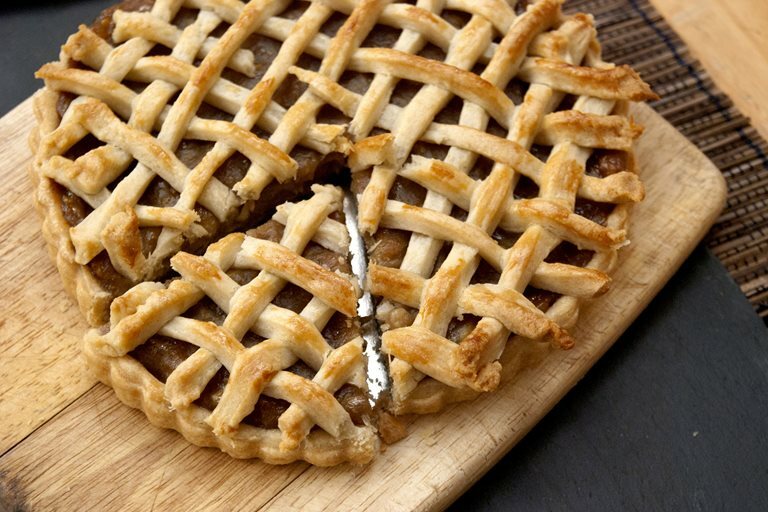 Topped off with a rustic lattice of shortcrust, it's a great accompaniment to that afternoon cuppa. Its inspiration comes from the tropical island of Mauritius, where mini morsels of these pies sit amongst other treats in bakeries and sold by street vendors. But if we can't afford to daydream about being on the exotic island, this is an easy sure fire way of whipping up a slice of the pie. 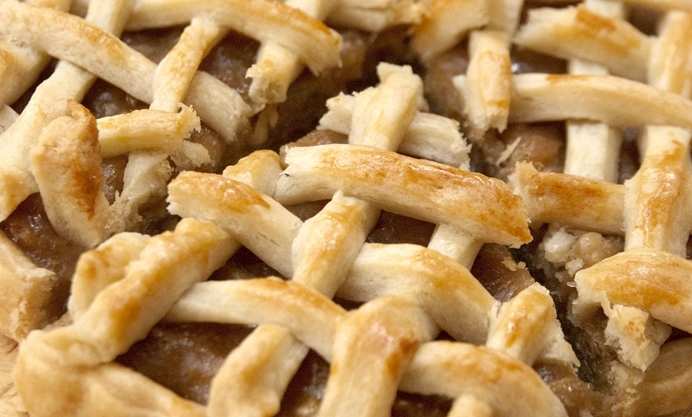 A perfect recipe for British Pie Week with a twist. 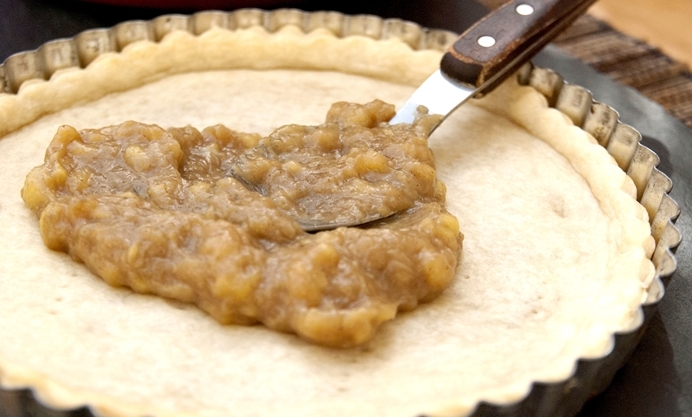 There are literally only four ingredients that go into this pie filling, simple as that. You can adapt the recipe to your liking, I have before added a pinch of cinnamon to the banana filling, or 2 tbsp desiccated coconut or even ground almonds into the shortcrust base to add a different dimension of flavour. Working with shortcrust or pastry for that matter can be a little tricky, here you can use this basic shortcrust recipe if you're feeling a bit creative in the kitchen and getting those fingers involved. Or shop bought shortcrust is just fine to use. Just remember these tips for easy handling of your pastry, bring your shortcrust to room temperature after its been the fridge as this will make it more pliable to work with. Treat the dough delicately when handling it, so you don't get those annoying tears or dents. And prick the base before blind baking (don't forget to do this part to avoid soggy bottoms) and ensure pastry is thoroughly cooked and golden! This pie can be eaten cold or warm out the oven by itself, some cream or ice cream as a dessert.